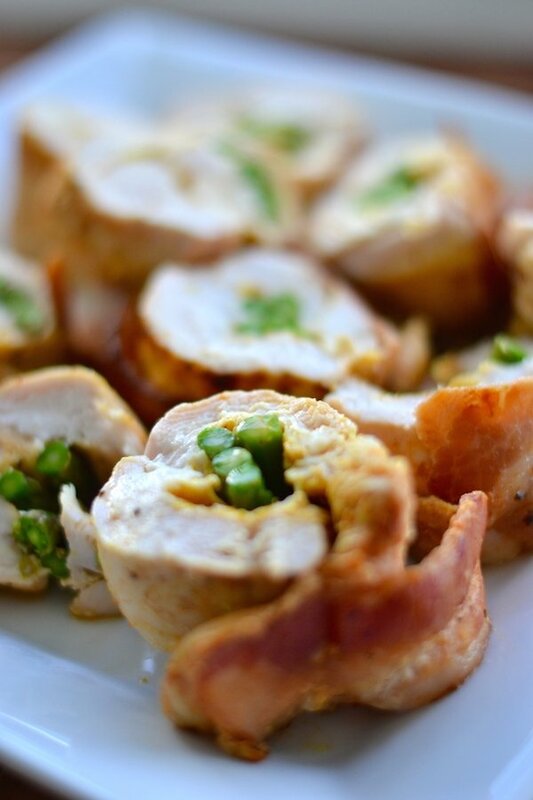 Bacon Wrapped Chicken Stuffed With Asparagus And Mozzarella is such a comforting and homemade dinner option for the entire family. Chicken breasts, mozzarella cheese, bacon and delicious asparagus. What a fantastic combination. 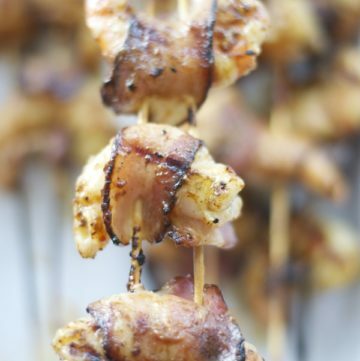 This recipe is easy to make and perfect for dinner. 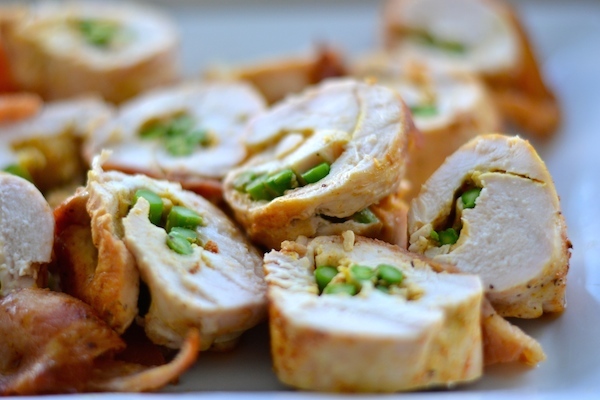 You can also make Bacon Wrapped Chicken Stuffed With Asparagus And Mozzarella at any small gathering and totally impress your guests. It is really not that complicated to make and OMG, tastes delicious. You can serve it with your favorite side dishes and make it a wonderful homemade family meal. 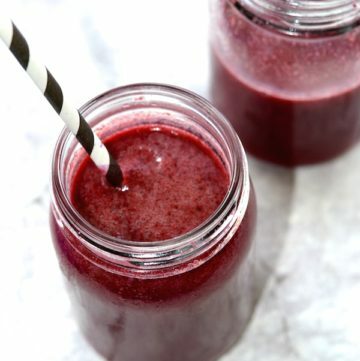 My kids love it with quinoa. Delicious and easy to make family dinner recipe. Pound out of the chicken fillets to approximately 1/2″ thickness. Season your chicken according to taste. I like it with oregano, paprika, salt and pepper. 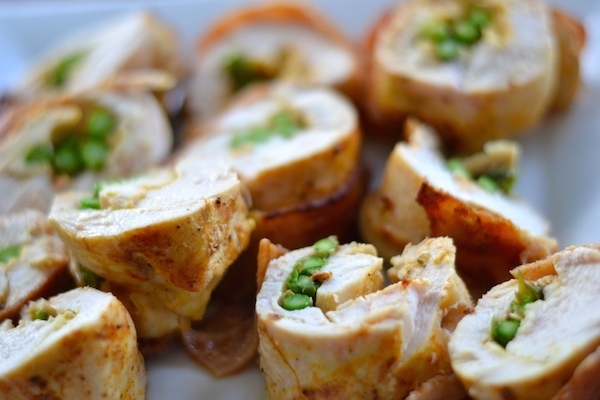 Cut the steamed asparagus to approx size of chicken roll (so that the asparagus will not peep out from the ends. 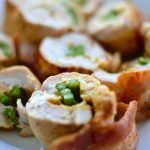 Roll chicken around asparagus, place a little mozzarella cheese, and wrap each roll with a bacon strip or 2 to get full coverage. You can hold the rolls together with toothpicks. In a large pan, heat some olive oil and place the chicken rolls. Cook in medium-high heat for 3-4 minutes on each side. This will make the bacon crispy. Place the same pan (make sure it is also oven safe) in the oven and let it cook for an additional 10-15 minutes. Take it out of the oven and cut the chicken rolls in slices. I cut in 4 with a sharp knife.